FSM Department of Resources and Development held a FSM Trade Fair in Palikir, Pohnpei, on September 7-9, 2016, at the FSM College of Micronesia in the margins of the 47th PIF Leaders Meeting. On September 7-9, 2016, the FSM Department of Resources and Development with the assistance of Pacific Islands Trade and Invest, New Zealand, held the first and successful Nationwide Trade Fair. The exhibition was scheduled timely as it coincides with the Pacific Islands Forum (PIF) Meeting, which was held in Pohnpei on September 7-11, 2016. 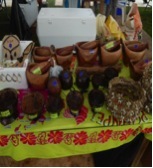 The Trade Fair was intended to showcase and promote the various and high quality FSM made products ranging from clothing (Chuukese Mumu/Pohnpeian Skirts), handicrafts, agriculture (Kosrae Banana Chips and Paper Products) and marine products to participants and delegates of the PIF Meeting. Thus, a few selected producers from across the four states were gathered in Pohnpei on September 4thin preparation of the event. On the morning of September 7th, His Excellency, President Peter M. Christian visited the booths and was impressed by the quality of the products. FSM First Lady Mrs. Maurina W. Christian, lead other first ladies who accompanied their husbands to the Trade Fair and many of them left with bags of souvenirs. Throughout the three days, the sales were not as much as expected but some vendors have managed to solicit orders/projects that could worth more than $20,000. The first nationwide Trade Fair also highlighted the launching of the “Buy FSM Made” campaign. This was made possible with the generous assistance of the Pacific Trade and Invest, New Zealand by providing “Buy FSM Made” stickers which were lodged on every product sold during the fair. In addition, the Auckland based PT&I also conducted a workshop focusing on interaction and participation of vendors at a Trade Fair. The turnout was a successfor the FSM market and to each of the vendors, as many of them sold a good number of items to the visiting delegates and introduced and promoted their products to consumers from other markets across the Pacific. 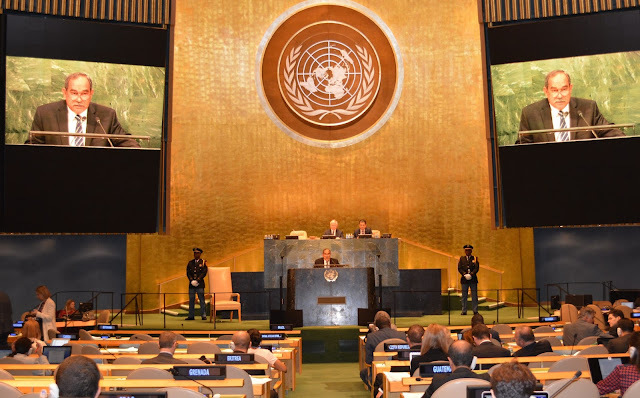 (New York, New York) - Federated States of Micronesia (FSM) President Peter Christian delivered FSM’s national address before the 71st session of the United Nations General Assembly (UNGA). He focused on themes of global peace and security, reform and modernization of the UN, climate change, and oceans. President Christian began his remarks by congratulating Peter Thomson, Permanent Representative of Fiji to the UN, on his election to the Presidency of the UNGA for the 71st session, calling it a historic occasion for Pacific islands. He next thanked the UN Secretary-General Ban Ki-moon, who is finishing his term this year, for being a champion of many issues important to Small Island Developing States (SIDS), such as increasing political momentum to address climate change. President Christian condemned the spread of terrorism worldwide. He said it pained him to see millions of innocent civilians desperately seeking shelter from the turmoil of war. He called on the UN Security Council for a stronger response to this global crisis. He also challenged the United States and Russia, as well as the Syrian government, to do more to stop the violence in Syria. The President also condemned North Korea’s ongoing provocative actions and rhetoric, which could threaten the peace and long term stability of the Asia Pacific region. The President called for reform of the UN, citing the need for modernization of principles and practices as well as technologies. The UN must focus on preventive diplomacy around the entire world and not only address hot spots; it should act more as a peacekeeper than a peacemaker. With respect to the UN Security Council, the President emphasized that the Council must adapt to modern times and be reflective of contemporary geopolitical realities. He reiterated the FSM’s support for the G4 countries (Brazil, Germany, India and Japan) to become permanent members of the Council. He also expressed support for appointment of a Special Representative in the UN system to be dedicated to climate change and security. President Christian observed that a number of milestone agreements were adopted this year: on disaster risk reduction, financing for development, the 2030 Development Agenda, and the Paris Agreement on climate change. He said that integrating the sustainable development goals (SDGs) into national plans will be challenging for SIDS and that they must be fully included in the relevant UN processes. On oceans, the President explained that the FSM is custodian of the some of the world’s richest marine resources. Under the Micronesia Challenge, the FSM has pledged to conserve 30% of its near shore marine areas. These conservation efforts also enable FSM’s sustainable use of its oceanic fisheries. On climate change, President Christian acknowledged that progress has been made in the last 25 years, but not enough. The President called attention to the ratification of the Paris Agreement by more than 30 countries, including virtually all Pacific islands. This raises hope that the agreement will enter into force soon, although implementation will require higher levels of both climate mitigation and climate finance ambition. 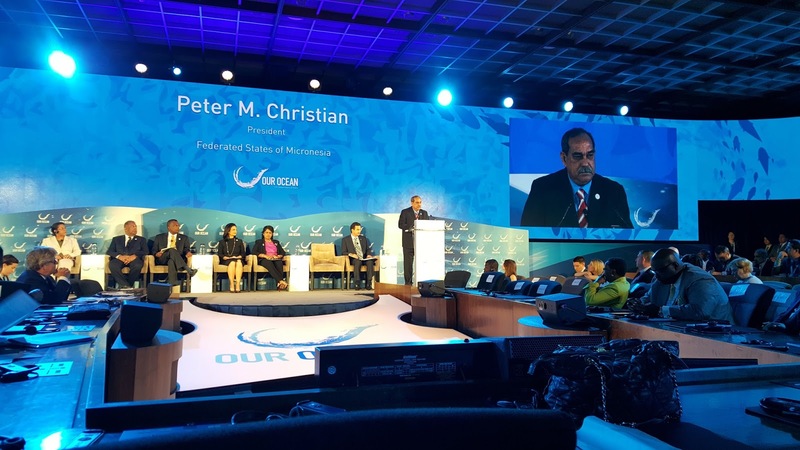 Regarding the proposed amendment to the Montreal Protocol to phase down HFCs, President Christian reiterated his thanks to co-sponsors and other supporters who have helped bring the process of negotiating an HFC amendment to its final stages. As Chair of the Pacific Islands Forum, President Christian concluded his speech with a brief report of the 47th meeting of the Forum. He related outcomes of the meeting with respect to the themes of oceans, health, human rights, fisheries (including illegal fishing), partnership and climate change, all of which are contained in the Pacific Islands Forum Communiqué. He also reported that Forum leaders endorsed the Pohnpei Oceans Statement: A Course to Sustainability. FSM Secretary of Foreign Affairs Lorin Robert, Slovak Minister of Foreign Affairs Miroslav Lajčák, who is the current President of the Council of the European Union, and Dimitris Avramopoulos, the EU Commissioner for Migration, Home Affairs and Citizenship. 22 September 2016 (New York, New York) – The Federated States of Micronesia (FSM) Secretary of Foreign Affairs Lorin Robert signed an agreement with representatives of the European Union (EU) that enables short-term visa-free travel to Europe for FSM citizens under most circumstances. The new visa-waiver agreement, which also provides for reciprocal treatment of European citizens who visit the FSM, was signed on the European side by both Slovak Minister of Foreign Affairs Miroslav Lajčák (the current President of the Council of the European Union) and Dimitris Avramopoulos, the EU Commissioner for Migration, Home Affairs and Citizenship. The signing ceremony, hosted by the Slovak Mission to the United Nations, was also attended by FSM Deputy Permanent Representative to the United Nations (UN) Jeem Lippwe and Second Secretary Martin Zvachula. This agreement makes it possible for FSM and EU citizens to enter each other’s territories and stay without visas for a maximum period of 90 days in any 180-day period. The visa waiver applies to people traveling for almost all purposes (e.g., tourism, international meetings, business meetings, and sporting events), with some minor exceptions, including the category of “carrying out a paid activity”. The visa waiver applying date begun on September 20, 2016. Before the visa waiver came into full swing, in order to travel to most EU countries, FSM citizens had to obtain “Schengen visas” that allowed them to enter the Schengen Area of the EU, which includes all of the EU countries except the United Kingdom (UK) and Ireland. The new visa-waiver agreement covers the same area, meaning it does not cover UK and Ireland. Fortunately, a separate agreement with the UK already allows visa-free travel to the UK by FSM citizens. Thus, Ireland remains the only EU country to which FSM citizens cannot travel visa-free. The signing of the visa-waiver agreement was one of the last steps in a process that began in 2014 when the EU adopted a regulation that proposed visa requirements be removed for 17 countries, including 9 Pacific islands. This was a welcome proposal, and bilateral discussions and drafting of the agreement quickly ensued. The agreement will not be final until it is ratified by both the FSM Congress and the European Parliament; however, the visa waiver applies before then on a provisional basis. 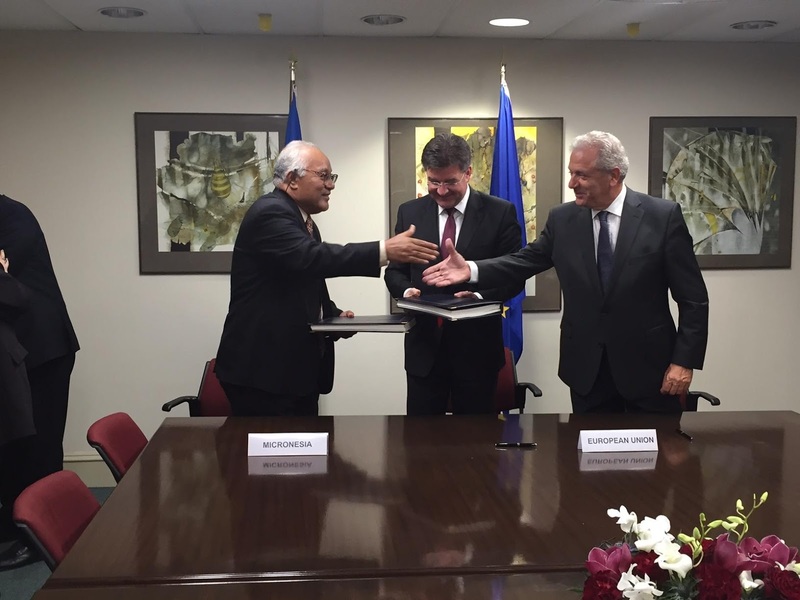 At the signing ceremony, Secretary Robert, Minister Lajčák and Commissioner Avramopoulos each made brief remarks. 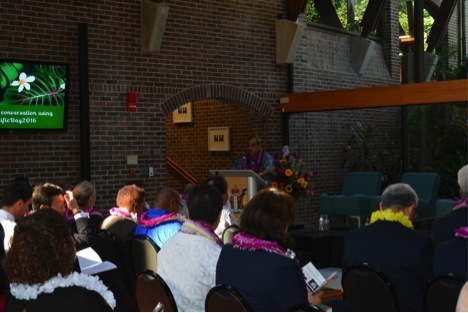 Secretary Robert spoke of the longstanding relationship between Micronesian and European peoples, beginning with the first interactions with Spain and then Germany hundreds of years ago. He also highlighted recent cooperation with the European Development Fund, which supported installation of solar photovoltaic systems in all four FSM states. This project enabled electrification of some outer islands for the first time. Commissioner Avramopoulos noted that the visa-waiver agreement would facilitate further cooperation as well as trade and cultural exchanges. Any FSM citizens who have questions about the visa waiver for travel to EU countries may contact the Department of Foreign Affairs (691-320-2641), the FSM Embassy to the United States (+1 202-223-4383) or the FSM Mission to the United Nations (+1 212-697-8370). These numbers and other contact information for Department of Foreign Affairs and all overseas missions and consulates of the FSM is also available here: http://www.fsmgov.org/ovmis.html.